It may be okay to try alternative remedies, but don't skip proven treatments. The first step to treat wear-and-tear osteoarthritis is medication to reduce pain and inflammation. But many men still end up with pain, stiffness, and limits on day-to-day functioning. "There are a lot of people with osteoarthritis who don't get cured," says Dr. Robert Shmerling, associate professor of medicine at Harvard-affiliated Beth Israel Deaconess Medical Center. "There are side effects related to medications and some people don't get better with physical therapy and weight loss alone. People understandably get interested in other options." That often means "joint support" supplements and herbal remedies. Dr. Shmerling says he supports his patients' decisions to try an alternative therapy "if I have reasonable confidence that something is safe, and the patient understands the other options and isn't forgoing something important." Glucosamine and chondroitin sulfate contain substances naturally present in cartilage. Clinical trials have compared these supplements, separately and together, against placebos but found no difference. "There's been no convincing evidence that these supplements repair cartilage or change long-term outcomes," Dr. Shmerling says. Several other ingredients in the alphabet soup of substances in joint support supplements are dimethyl sulfoxide (DMSO), methylsulfonylmethane (MSM), and S-adenosyl-L-methionine (SAMe). The May 2014 issue of the National Center for Complementary and Alternative Medicine's NCCAM Clinical Digest summarized the evidence for benefits from these arthritis supplements. DMSO and MSM. The handful of clinical trials on these substances offer "no evidence of significant reduction in pain compared to placebo," NCCAM says. SAMe. A 2009 review found four clinical trials that compared SAMe against a placebo. The difference was small and possibly due to chance. Preliminary research suggests that some supplements made with plants could, hypothetically, reduce the inflammation associated with osteoarthritis. The latest scientific review of two such medicinal plant products was published in May 2014 by the Cochrane Collaboration. It found enough clinical trials to evaluate two herbal remedies sold for arthritis: Boswellia serrata and avocado-soybean unsaponifiables (ASU). Boswellia serrata. People in the clinical trials who took 100 milligrams (mg) of B. serrata daily for three months said their pain was moderately lower and their functioning slightly better, compared with those who took the placebo. ASU. Results from six studies of ASU found that taking 300 mg daily for three to 12 months slightly improved pain and functioning. There is no good evidence that it prevents cartilage breakdown. In the absence of good evidence that joint-support products deliver what they promise, the potential risks become more important. People who take dietary supplements sometimes report stomach upset, nausea, skin rashes, and allergic reactions. More worrisome are potential drug interactions. 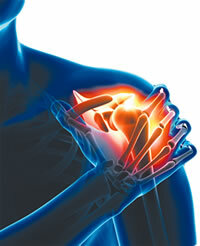 Glucosamine and chondroitin could interfere with the widely used blood thinner warfarin (Coumadin). Are there other drug interactions? "Since supplements haven't been vetted the same way prescription drugs have, we may not know that," Dr. Shmerling says. Nor are the doses and purity of dietary supplements and herbal remedies regulated tightly, as with pharmaceuticals. You can't be sure what you are getting. No matter what you try, run through standard options first. "If you buy a $29.99 supplement and stop taking your regular medications, you could really do yourself a disservice," Dr. Shmerling says. "I do worry about people taking this effort to be natural too far." Evidence continues to accumulate that regular exercise, including walking, can help some people with osteoarthritis to reduce their pain and remain more functional. In 2013, a study in the medical journal The BMJ pooled findings from 60 previous clinical trials. Most of the studies (44) involved people with knee osteoarthritis. It found that exercise, compared with not exercising, produced a range of benefits. A fitness program that combines exercise to build strength, flexibility, and aerobic capacity is most likely to succeed. 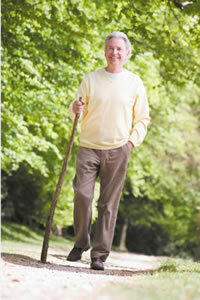 Walking fits into that picture for those with knee or hip osteoarthritis—especially early in the course of the disease. Those with more severe joint breakdown or pain may have to limit weight-bearing exercise. As an alternative, try swimming, water aerobics, or cycling (stationary or on the road).